From the top of the wall mount to the bottom of the cage, each light in this set measures just over 10 inches tall. 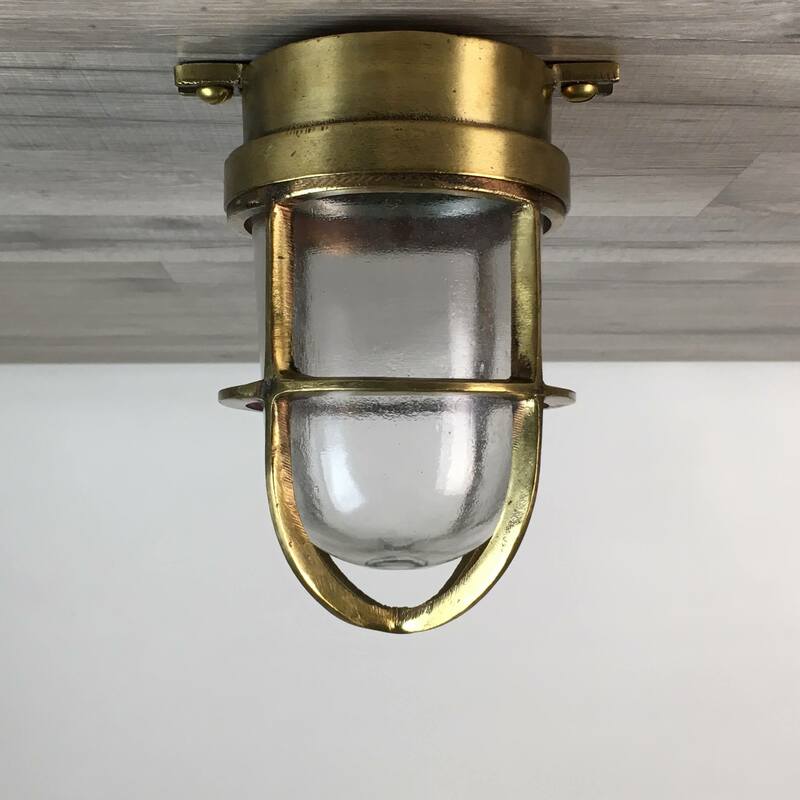 The lights in this 6 piece set of authentic cast brass bulkhead nautical lights have wall mounts that measure about 3 3/4 inches in diameter with four mount holes. When mounted to the wall, these lights will extend out by 6 inches. Each light in this six piece set weighs about 5 1/2 pounds. Our new brass adaptor plate will end all of your installation problems with your standard junction box! Our 6 inch brass adaptor plates cost $20.00 each. If you order them at the same time you order your lights, we will attach the plates to each light with brass screws and nuts. 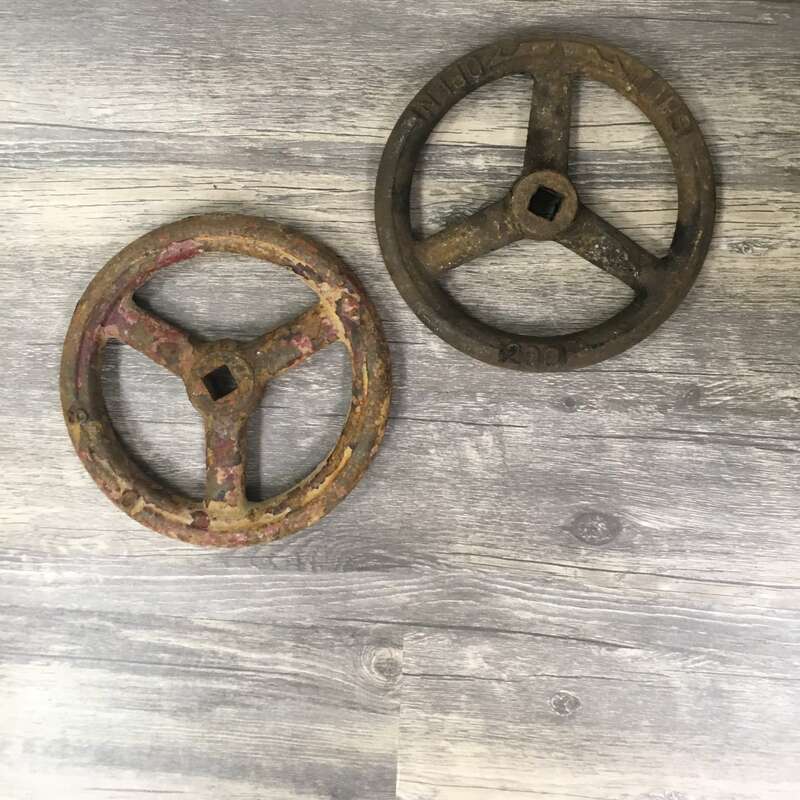 You will be shipped the six brass nautical wall mounted lights shown in the photos because, we take new photos for each listing.